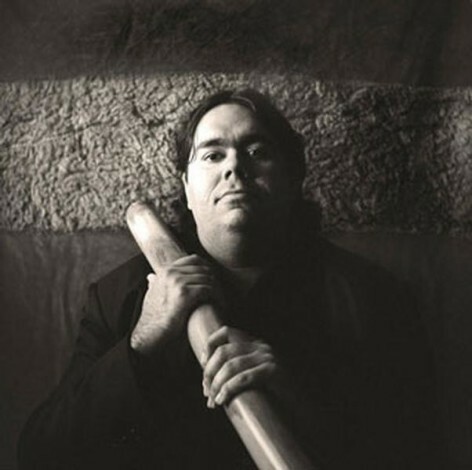 William is one of Australia’s leading didgeridoo players and composers and is a powerful advocate for the wider perception of his cultural traditions. Born in Mount Isa, he was taught the instrument by his uncle, an elder of the Waanyi, Lardil and Kalkadunga tribes of western Queensland. At 17 years, William played his first classical concert with the Queensland Symphony Orchestra. Since 2001 he has collaborated with Australian composer Peter Sculthorpe. Sculthorpe’s Requiem (2004), performed by the Adelaide Symphony Orchestra and at the UK’s Lichfield Festival, was composed with William in mind, while Earth Cry, Songs of Sea and Sky, Mangrove, Kakadu, and From Ubirr were re-arranged to include didgeridoo. He continues to appear at music festivals and concert halls in Australia and around the world.